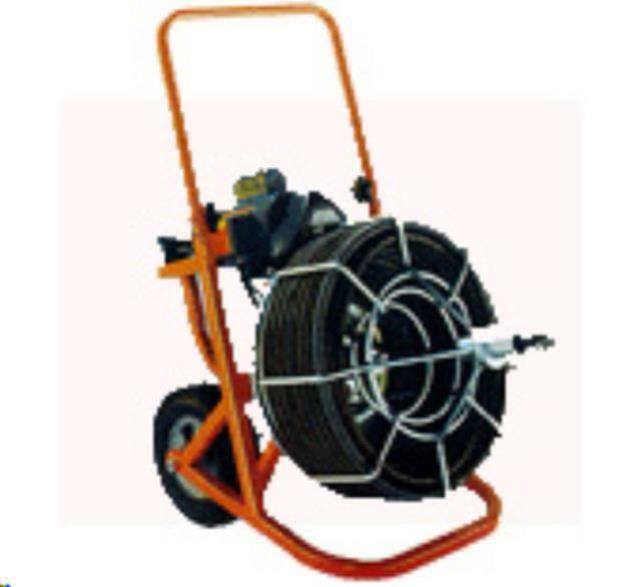 For use on Sewer drain lines. Unit measures 3/4" wide and is 100' long and has a roller ball on the end and a hand grip to guide it in. A carrier is included. * Please call us with any questions about our drain cleaner 100 foot rentals serving Princeton, Vincennes, Evansville, Gibson County, and surrounding communities in Southwestern Indiana.